Chinese president Xi Jinping has called for everyone to help create a better internet, Reuters reported. During an internet conference in the northern Chinese city of Wuhzen, the president’s messages were read from a letter. In the letter, he called for the world to create a more “fair and equitable” internet. 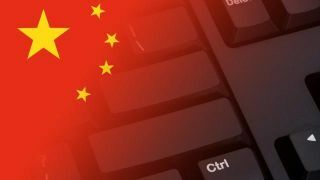 China and its technology companies are under a lot of pressure from the West, which accuses it of foul play. The country has been accused, numerous times, of conducting data thefts and cyber criminal activity with the goal of cyber espionage. Huawei, one of the country’s (and the world’s) largest telecoms equipment manufacturer, has been accused by the UK, UK and Australia, of helping the Chinese government spy on the governments and citizens in the West, through network infrastructure and other hardware. UK senators have warned against Huawei’s 5G equipment, saying installing it may hurt national security. The Chinese government denied all accusations. Western internet companies, like Facebook, YouTube or Twitter, are banned in China. The country controls and censors the internet, and is ready to punish those posting content seen as opposed to ‘core socialist values’.